We’re pleased to announce Blue Star Direct’s new partnership with European car brand Renault. Renault have been creating some of the world’s best cars for over 100 years. Already a dominant brand in Europe with a long-history behind them, Renault established an alliance with Nissan in 1999 to extend its presence into the Asia Pacific market. Blue Star Direct will work with Renault on mail house and data services, fulfilment and warehousing. The scope of the contract includes online dealership fulfilment, customer welcome packs and brochures, multi-channel marketing campaigns and return and response mail. With the Renault head office in the Melbourne suburb of Mulgrave, work will be managed out of Blue Star Direct Melbourne. 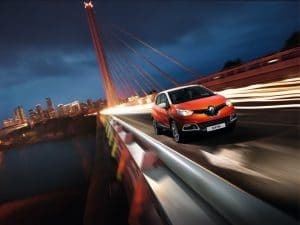 Rachel Baldovino, General Manager VIC said: “We’re very excited to have Renault working with us. We’re confident that we can add value to their business and share their ethos to drive change and constantly strive for improvement”.